Find the best online collection for Boys wear in Indian on G3fashion.com in Western Brands and Indian ethnic Wear. Boys wear fashion keeps changing every season as much as men’s fashion from clothing for occasions or functions to regular wear apparels kids need more clothes compared to adults. This is why we at G3fashion bring online boys wear in all price segments in different categories. When choosing for kid’s Indian wear online, it becomes difficult in-terms of sizes and fit, style cuts and type of fabrics. But at G3+ Fashion online shopping for boys wear makes it convenient with easy customer support and well measurement details or alteration service. Our Range includes styles to shop for toddlers and shop online for teen boys in Indian wear. 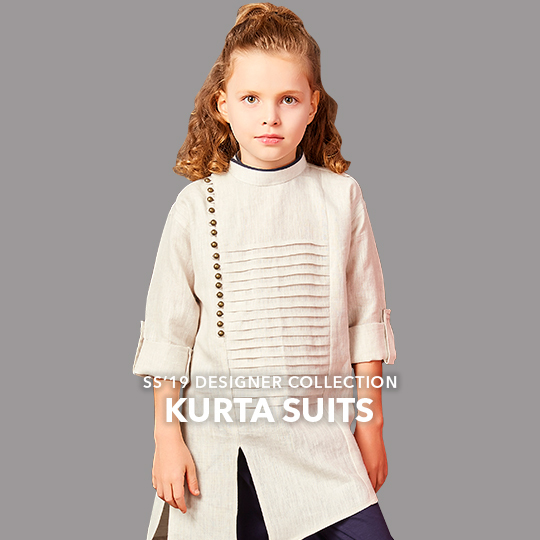 Get a look for kids wear in Kurta Suits in styles of Nawabi Kurtas, Plain placket kurta for boys, to dhoti Kurta suits for boys. 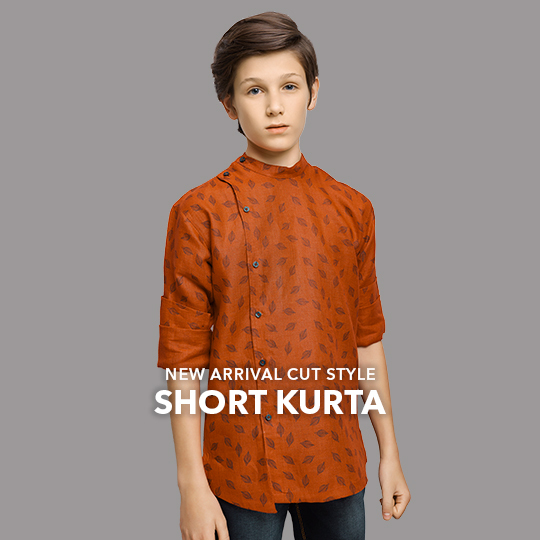 We also offer pathani kurtas for boys in comfortable styles and affordable prices. Whether you want to shop for Weddings or Festivals, our collection of Boys indo western online has it all from trending style cuts to new season fabric choices and colors. Choose from Kurta and Jacket Sherwanis styles to the Simple sherwani indo western for boys at G3+ Fashion. Go for waistcoat and Kurta set for stylish look for boys to wear at functions. 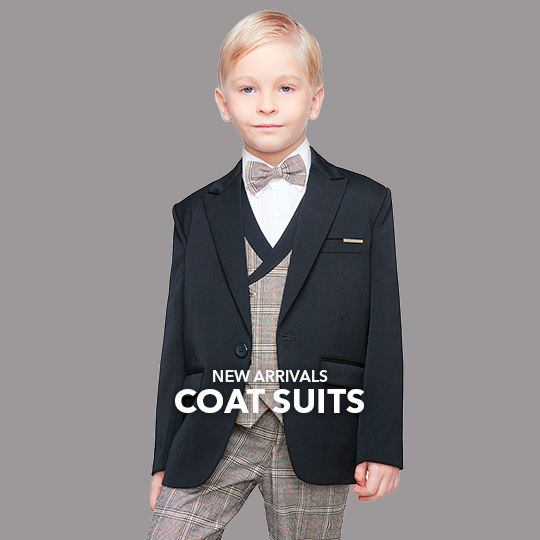 Shop for Boys Coat suits online in all sizes from 1 to 16 years of age, the styles are super comfortable for kids and also easy to carry. We have collection of Tuxedo styles, blazer styles, Jodhpuri suits for boys and much more. 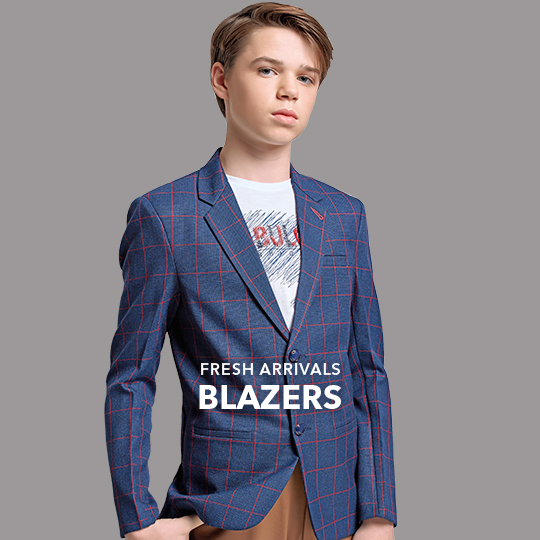 Our online store has best boys casual fashion brands for casual wear, party wear or wedding wear. 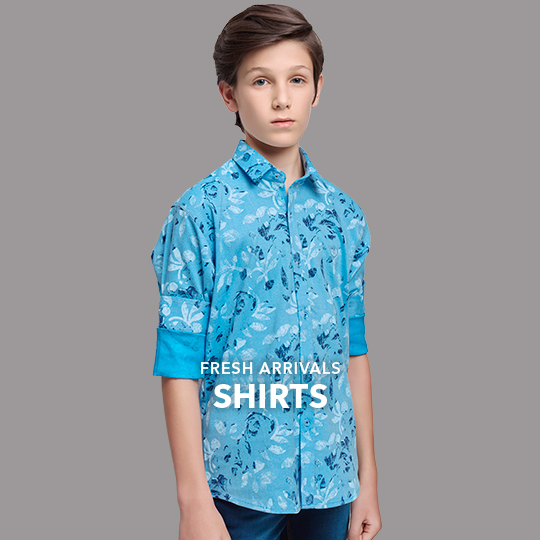 We bring a whole new range of selective designs of top brands in all sizes for boys. Choose from Top wear categories of shirts, t-shirts of waistcoat styles online for boys. Or go for the bottom wear categories in Jeans for boys, Pants or trousers, and shorts.